Testing for acidity and basicity has undergone significant development since the emergence of litmus paper, first utilized in the early 1300's by Arnaldus de Villa Nova (Photo Credit - Alchetron.com ), who initially deployed blue dyes extracted from lichens in the Netherlands to ascertain the acidity of aqueous solutions. The first use of the term "pH" in 1909 is credited to a research chemist at the Carlsberg Laboratory in Copenhagen, Denmark,Søren Peder Lauritz Sørensen. He developed a scale, based upon the "puissance" or power of Hydrogen (pH) to determine the acidity, alkalinity or basicity of a liquid substance.His scale runs from 0 (most acidic) to 14 (most alkaline). 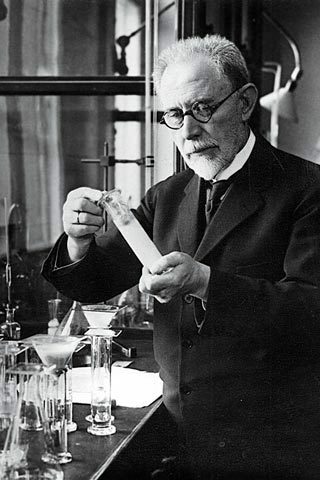 In John Buie's 2010 article in Lab Manager, October 07, 2010, "Evolution of the pH Meter: Tracing the origins of the pH meter and looking ahead to future advances," he traces the evolution of pH meters from the pioneering work of Cremer, Haber and Klemensiewicz in the early 1900's, through advancements by Beckman in the 1930's, as well as Kuntze & Cannon in the 1940's. The Buie chronology continues with miniaturization of pH meters, emerging in 1948, with NEOTEK PONSEL's introduction of the first handheld pH meter, with continuing innovations by companies such as Jenco Electronics, WTW, Hanna, Schott, Denver Instruments, Mettler Toledo, Sartorius Mechatronics, Metrohm and Hach Lange. Obviously, ingestion or mere contact with liquids that are highly acidic (i.e. with a low pH), such as sulfuric acid, hydrochloric acid, battery acid, etc. can be fatal or extremely debilitating. Similarly, ingestion or mere contact with liquids that are highly alkaline (i.e. very high pH), such as lye (sodium hydroxide or potassium hydroxide), liquid drain cleaner, bleach, etc. can also be fatal or extremely debilitating. Testing for appropriate pH levels is essential in determining potability of water, suitability of water for swimming or fishing, or serving as an indicator of potential water contamination from industrial effluent. The quest for relatively low cost methods for measuring pH yielded a wide variety of instruments and testing kits, under $130. Milwaukee pH600 Economical Pocket pH Meter - $19.95 ±0.1 pH accuracy and a range of 0.0 to 14.0 pH. In addition to the commercial and DIY pH meters, simple litmus paper testing for pH has survived since its introduction in 1300 by Arnaldus de Villa Nova. Several companies continue to produce litmus paper strip kits for pH testing, ranging from Cole-Palmer kits at $4.15, Grainger Industries at $4.95 to $99.50. Note that the first example of community science water testing below provides a detailed description for training children K-12 for testing pH in lakes and streams. The second describes Science Teachers' Toolbox, specifically for water quality testing. These are followed by potential sources of funding for citizen science projects and an identification of the types of community environmental monitoring programs that have received support from agencies such as the U.S. EPA, the National Institute for Environmental Health Sciences and the National Geographic Society. Of particular interest in the list of references is the Scientific American article addressing the World Water Monitoring Challenge, in which the goal achieved in 2017 was to engage 1,499,068 people in 143 countries, all engaging in water quality testing for 76,790 bodies of water on Water Monitoring Day. The next World Water Monitoring Day is Sept. 18, 2018. Kits for water quality monitoring are available through theWorld Water Monitoring Day website. The available kits include basic kits for testing pH and Dissolved Oxygen (DO), Classroom Kits, Advanced kits for multi-parameter water testing through participating manufacturers, as well as detailed information both for donating kits and for receiving donated kits. Sørensen, Søren Peter Lauritz (1868-1939)". 100 Distinguished European Chemists. European Association for Chemical and Molecular Sciences. Retrieved 2011-10-14. John Buie, "Evolution of the pH Meter: Tracing the origins of the pH meter and looking ahead to future advances," Lab Manager, October 07, 2010. Have you experienced either positive or negative results using any of the methods or devices listed above? Have you had results from pH sensors other than those listed above? If so, can you share your experience? Madtinker- I've seen "universal" pH indicators before. Interesting, using them with the spectrometer. You would probably need to filter the water first, then run a blank to make sure it had no major color contributions. @Ag8n - yeah, pretty sure you're right about filtering. I also think there are some calibration issues that remain even with a perfect sample. Still, given another discussion on using a spectrometer to detect water color, I thought it was an interesting concept.